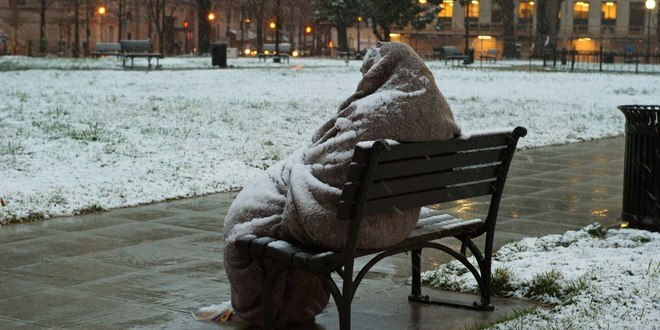 Homelessness – what to do when it is really cold? The question is pertinent given, if weather forecasters are to be believed, we are in for a really cold period. While no expert on the matter, I suspect we have already experienced some pretty cold weather throughout the winter that is (hopefully for homeless persons) soon to come to an end, evidenced by feedback from the homeless themselves and the extra numbers churches have had to do deal with, when managing their night shelter program. My mind got thinking along these lines given the various related comments I have seen on social media, with people, for quite understandable reasons, getting righteously indignant that we have a situation, pertinently in my town of Southend), where people sleep rough and having to come up with a variety of solutions, none of which are particularly satisfactory, for sleeping and keeping safe and warm. Mine is not to wade in criticizing some of other group per se (usually unproductive I find) or to come up with much extra to some of the things I have suggested in my “Homeless Reflections” e-book, but rather to acknowledge there is an issue and make (hopefully) some helpful comments for concerned people. Besides managing one of the church winter night shelters, I chair a soup kitchen (Street Spirit) and a more than talking shop organization (Southend Homeless Action Network – SHAN) and have had over ten years experience working among the homeless and unlike many who have started and stopped along the way, I am still keeping going. The reason is not so much that I am a good guy but basically I recognize my limitations, doing what I know I can that (hopefully) makes a difference and recognizing there are others who can help, which is why when it comes to other groups e.g. other churches, the Council, HARP, other soup kitchens and the homeless themselves, I try (not always successfully) to avoid criticism but rather encourage and support whenever I can. No one has a monopoly on homeless wisdom / provision and given the huge list of unmet homeless needs, this tells me there is room for all. A friend of mine who happens to own a shop in the town that is currently empty made a generous offer that he would make this available to any who would like to use it to accommodate the homeless. Unsurprisingly, unless I am wrong on the matter, no one has taken him up on the offer (although I recognise it ain’t that simple) and those who have commented usually expect this is some else’s problem, listing the Council, HARP and the churches in that order. As I say, I am remaining neutral and merely pointing out the predicament. As I write, soon to go off to my nice church, the sun is shining, but tomorrow it may be snowing and out there on the streets of my town there are a number, some I know (the recent rough sleeper count indicates 70+) who will be sleeping on the streets. While some will be perfect guests, most I suspect will not, but the great majority will appreciate being under shelter. Update 26/02/2018: Good news – our Council have TODAY opened an emergency shelter for up to 20 at its Tickfield Centre – Tickfield Industrial Estate, Tickfield Ave, Southend-on-Sea SS2 6LL, to cover as a minimum the bad weather period we have just begun to experience (right now it is snowing) and supplement the church night shelter provision. I paid a brief visit this evening and was impressed. This provides basic but comfortable accommodation, bathroom facilities, simple food and hot drinks, but minimal frills – but a better alternative to being on the streets.